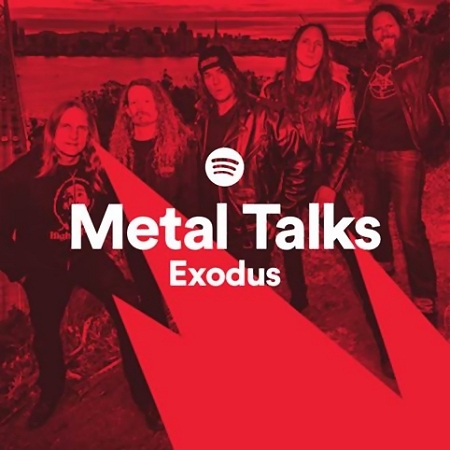 Thrash metal legends EXODUS are featured on the latest episode of premier music streaming service Spotify’s “Metal Talks” series, and fans can head to the show’s landing page now to listen: http://spoti.fi/MetalTalks. 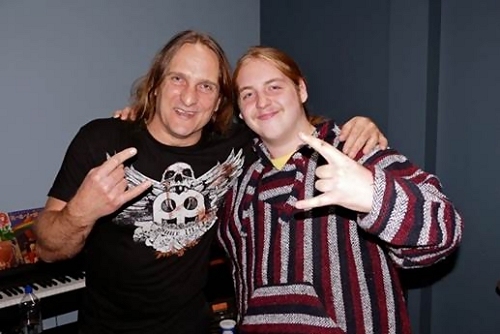 Spotify “Metal Talks” is a podcast-style show showcasing metal/heavy/hard rock’s most important artists. Each episode features intimate and in-depth conversations with an artist, interspersed with their own music and favorites from other artists. It’s a rare opportunity to get into the heads of the folks producing some of the most vital and tribal music out there. 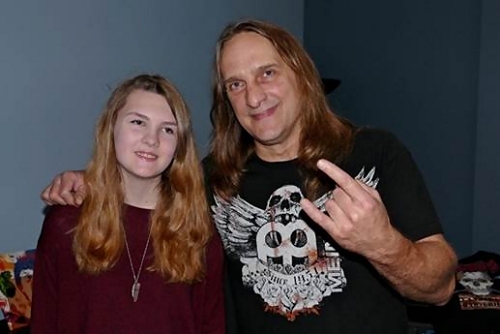 As of very recently, fans can hear the first three classic EXODUS records on Spotify – Bonded By Blood, Pleasures of the Flesh, and Fabulous Disaster. 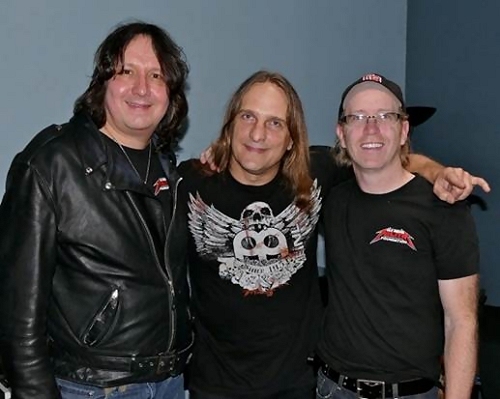 EXODUS just wrapped up a successful European tour that comprised of several one-off dates and festivals, including Sweden Rock Festival, Forta Rock Festival, Copenhell Festival, Metal Frenzy Festival, Graspop Metal Meeting, Hellfest Festival, and Tuska Open Air. Later this year, EXODUS will take part in the Motörhead’s Motörboat Cruise, departing from Miami, FL on September 28th. Motörhead’s Motörboat offers guests a once-in-a-lifetime opportunity to share an experience with their favorite bands and to see unforgettable performances on various stages throughout the ship and on the island of Great Stirrup Cay. The full lineup for Motörhead’s Motörboat is as follows: Slayer, Motörhead, Anthrax, Suicidal Tendencies, Hatebreed, Exodus, Corrosion of Conformity, Phil Campbell’s All Starr Band, Crobot, Motor Sister, KYNG, Brian Posehn, Fireball Ministry, Huntress, Big Jay Oakerson, The Shrine, Others, No Words, Budderside, Sonia Harley, and The Dead Deads. Visit www.MotorheadCruise.com to reserve a stateroom. Starting Tonight from 7pm-9pm ET! Don’t miss this! 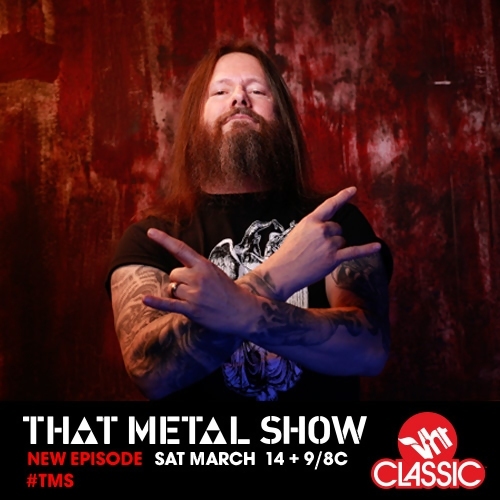 Bay Area thrash metal legend and EXODUS guitarist Gary Holt will appear on this Saturday’s episode of VH1 Classic’s That Metal Show, airing at 9/8 Central and featuring additional guest appearances by Marky Ramone, Darryl Daniels, and Joel Hoekstra. 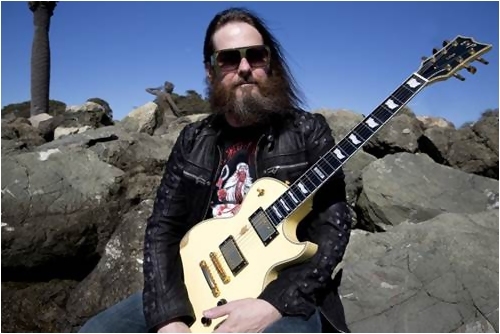 Catch Gary Holt discussing EXODUS’ upcoming run on the Dark Roots of Thrash II tour with headliners TESTAMENT and special guests SHATTERED SUN, the band’s new Billboard Top 40-charting burner Blood In, Blood Out, and other happenings. 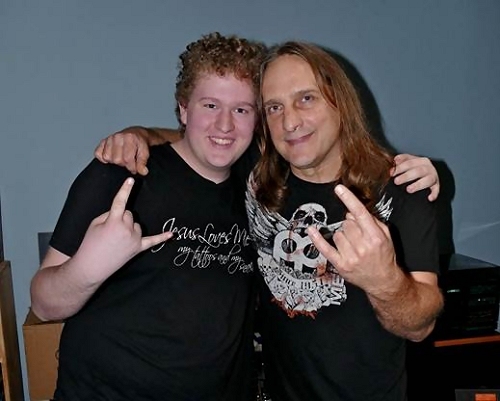 For more information, visit www.Facebook.com/ThatMetalShow or www.vh1.com/shows/that_metal_show. 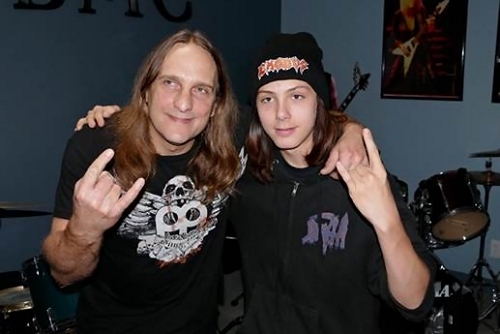 This past Sunday, November 30th, students at The Old Bridge Music Center School in Old Bridge, New Jersey, were treated to a special Master Class clinic with EXODUS drummer Tom Hunting. The event was part of the school’s ongoing “Meetings with Masters” series that offers young music students the chance to learn from top music industry professionals from around the world. 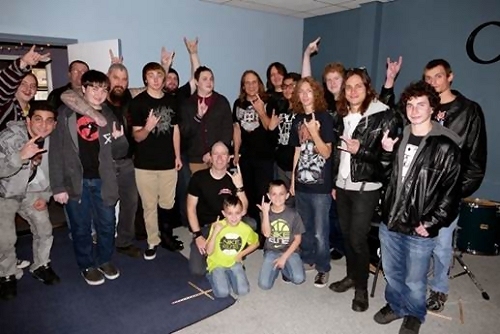 Highlights of the Master Class included an inside look at Hunting’s successful career, drum tips and techniques, advice to young musicians looking to have a career in the music industry, and a Q&A session. 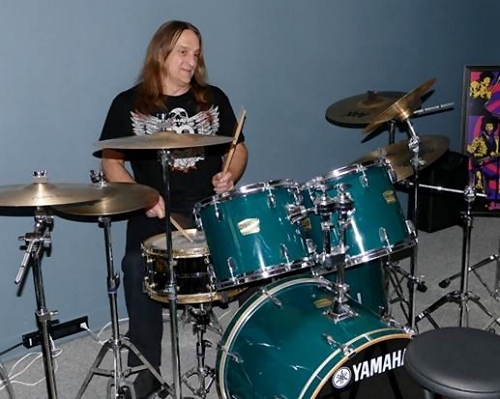 Students were then given the opportunity to play along with Hunting on a second drum set with other student musicians in a series of “Double Drum” jams to close the event, much to the delight of all in attendance. “Wow! What an amazing day! 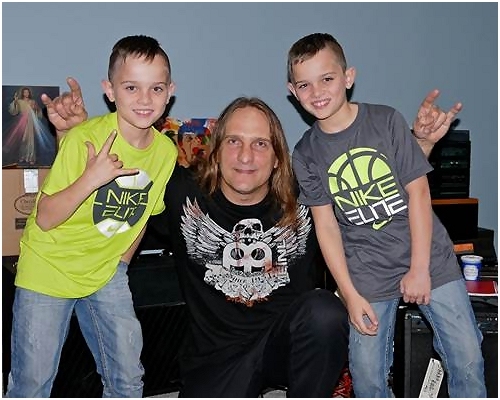 We had such a great time and it was really inspiring to take part in the very important work that The Old Bridge Music Center School does,” states Tom Hunting. “I couldn’t be happier about how the day went. We talked a lot about touring, and the lifestyle, practice techniques, different styles of music, and pretty much every aspect of music. And the kids were so smart, extremely talented, and very engaged in the process. I left there wishing we had more time to talk and jam! 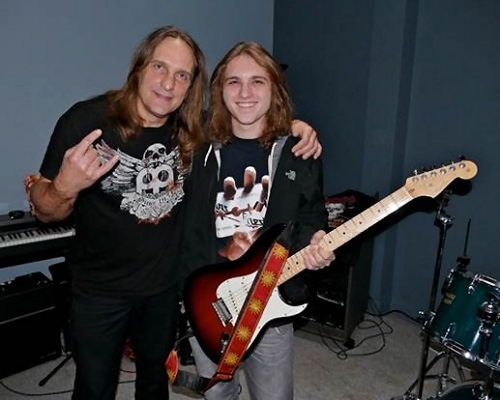 See below for photos from the Master Class Clinic! 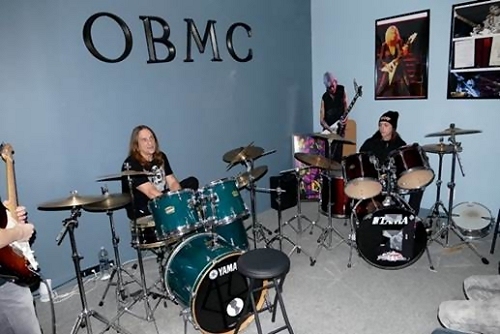 To learn more about the Old Bridge Music Center and their programs, please visit www.oldbridgemusiccenter.com, http://oldbridgemusiccenter.wordpress.com, or www.facebook.com/oldbridgemusiccenter. 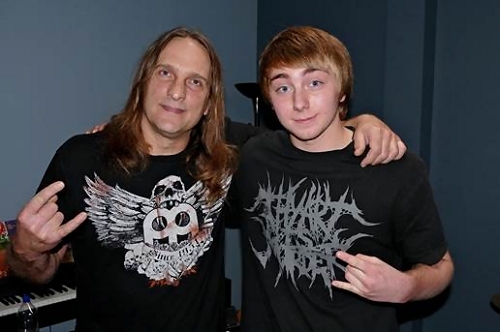 Tom Hunting and EXODUS are currently wrapping up their tour with headliners Slayer and fellow special guests Suicidal Tendencies. 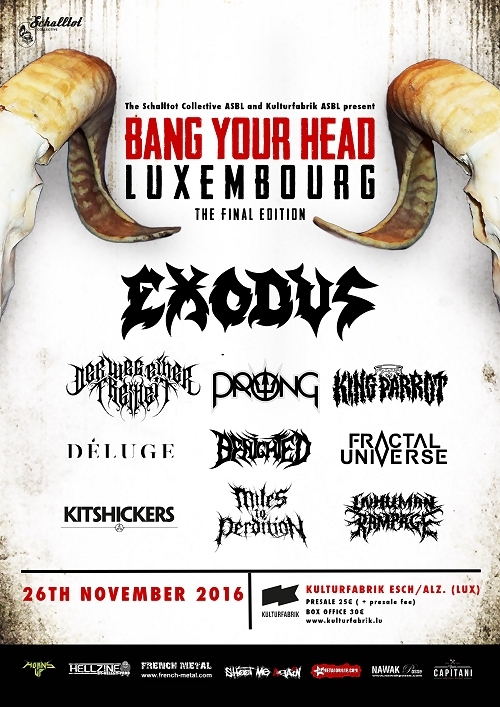 Afterward, EXODUS will embark on a quick run of headline shows from December 7th through December 14th. See below for all remaining tour dates.